The classic is living ! The Harmonia Classica, the association for harmonic music, has the goal to perform also pieces of living composers who write in a classical style. Beauty is the common denominator which determines the selection of the compositions. “The beautiful is a manifestation of secret natural laws which would have been hidden without that appearance (Goethe)”, but to renounce to that would be an impoverishment of the music culture. 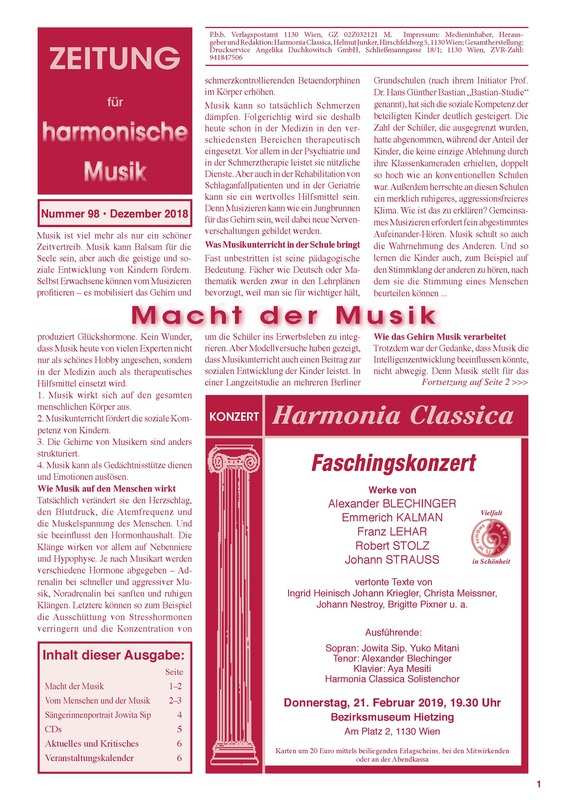 The Harmonia Classica organizes concerts with harmonic music in selected halls with brilliant musicans and with regular communication with the media and also with the own newspaper it brings the works of the composers to the public attention. The Harmonia Classica exists since 1982 and has already organized 146 concerts. 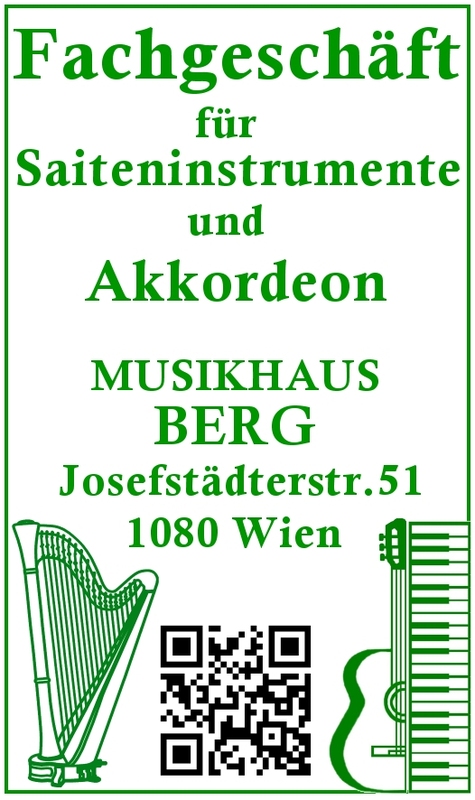 The Harmonia Classica has also an own CD-label, called Harmonia Classica Records with 35 different CDs and has already organized 8 competitions for composers.ßerdem hat sie ein eigenes Plattenlabel, genannt “Harmonia Classica Records” mit bis jetzt 32 verschiedenen CDs.as already organized over 119 concerts.